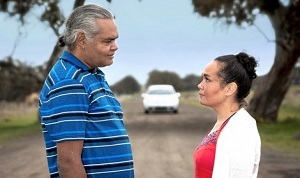 Coming up at The Footscray Arts Centre is the highly acclaimed This Way Home, presented by ILBIJERI Theatre Company. Tash and her Dad are going on a road trip. Home to country, where the sky is higher, and the world goes on forever. ILBIJERRI Theatre Company tells stories about what it means to be Indigenous in Australia today. Infused with humour and heart Which Way Home draws on writer Katie Beckett’s own memories of growing up with her single Aboriginal father.